Among the whispers and rumors that often permeate the automotive and tech industries, some of the loudest whispers and the wildest rumors have been about the Apple Car, codenamed Project Titan. 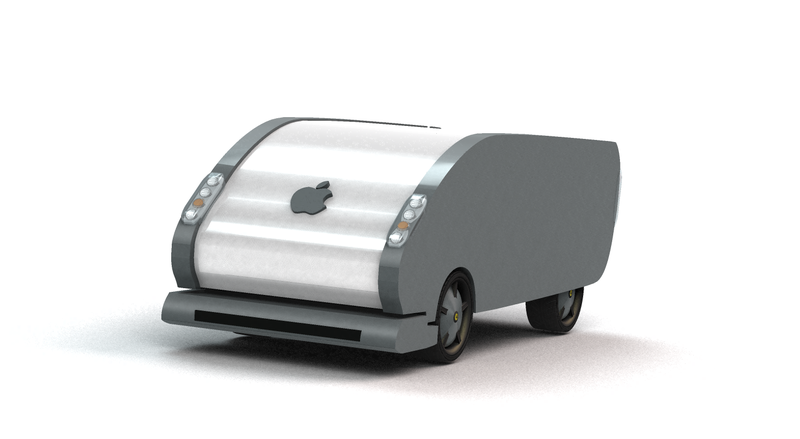 What is the Apple Car, exactly? Apple has been mum about the project, but then again, Apple has always been famously tightlipped about secret projects. So all we can do is look at the clues. Here’s what we think we know so far. It is likely electric and autonomous. With a focus on both, apparently. Bob Mansfield, who was in charge of hardware engineering for the MacBook Air, the iMac, the iPad and worked on the Apple Watch is now reportedly in charge of all the people who are working on Project Titan. Apparently, Apple is snooping around after charging station companies, asking about their underlying technology. It’s been noted that these questions don’t concern charging electric cars for Apple employees, because Apple already provides that for them. So, why is Apple asking? Apple invested $1 billion in the ride-sharing Chinese equivalent of Uber, which means collaboration. Many industry-watchers believe it’s unlikely the Apple Car will be a car you can buy, but rather something built for fleets and ride-sharing and ride-hailing services. Another very distinct possibility is that Apple isn’t building a car at all, but rather some kind of hardware or software system to further autonomous cars. This could be an autonomous driving system licensed to existing automakers, rather than an entirely new car itself. Apple needs new revenue sources. The iPhone isn’t the powerhouse it once was. A car—or a ride-sharing service, or licensing technology, or whatever Apple does—could help the company diversify. A recent increase in R&D spending can’t just be for a new iPad or Watch. It’s gotta be for something bigger. Something about the size of a car, I’m thinking. Apple’s been hiring a ton of people from the auto industry. Most notably, Chris Porritt, who used to be the Tesla Vice President of Vehicle Engineering and the Aston Martin Chief Engineer before that. Also Marc Newson, who designed that absolutely lovely Ford 021C concept car. Also, we know Apple purchased one car: a 1957 Fiat Multipla. Perhaps the vintage microvan could inspire the car’s design somehow? Apple has called dibs on a bunch of domain names, including apple.car, apple.cars and apple.auto. That could mean something, or it could be just pre-empting domain squatters to avoid confusion. Apple may or may not be scheduling tests at a disused World War II-era base in Concord, California, that has 20 miles of paved highways and city streets. A battery-making company sued Apple last year, accusing it of “aggressively poaching” employees to “built a large-scale battery division” similar to that of the battery company. It’s also possible that we’ll wake up tomorrow and find that there is no such thing as the Apple Car, or that it won’t materialize at all. But given all the money that’s been spent, that seems rather unlikely. The other big question: when will we know more? That may be the biggest mystery of all, but unless someone leaves one parked outside a bar, the world will likely be on Apple’s schedule.